When visiting Göteborg, we decided to explore the city by foot. We ended up in the old Haga quarters, when hunger struck. Lunch time! 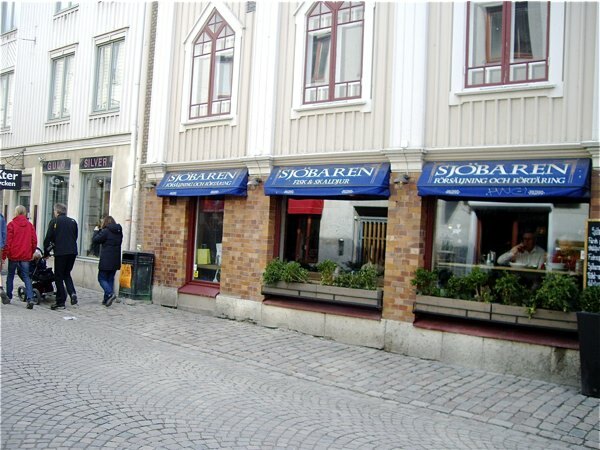 We spotted a small eatery with a tempting name - Sjöbaren or the sea bar, and we decided to make it the venue for a lunch. A wise choice!!! 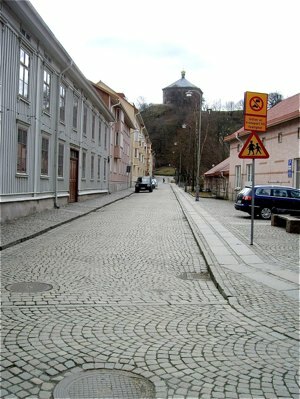 Sjöbaren is located in Haga, a quaint old neighbourhood in Göteborg, a short walk from the city. Haga is one of the most original parts of town, and here you'll find bars, restaurants and small shops in building dating as far back as the 17th century. This was my first visit to Haga, and I do recommend you to spend a few hours in this charming area of the city. We loved the service provided by the staff at Sjöbaren. The waiters were both informal and witty, and took our order and served our food with a pace that could take your breath away. In spite of the commotion, they were certainly in charge and we felt very welcome and very well attended to during our meal. Sjöbaren is located in an old house, with a charming interior. Interior were held in dark wooden details with a maritime theme. Solid oak coloured tables and chairs underlined the old world charm. The rooms were very small in size and this seriously affected the space by the table. 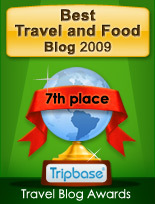 We felt cramped into a very restricted place with very little room to the next table. 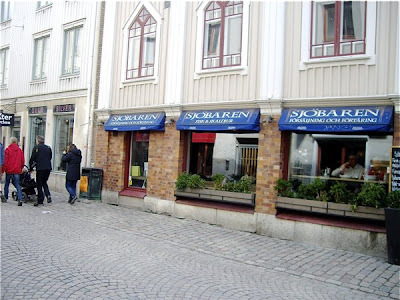 At Sjöbaren you are served dishes made from fish, crustaceans and mussels - only! For those of you in the mood for a steak - do not enter, but go elsewhere. 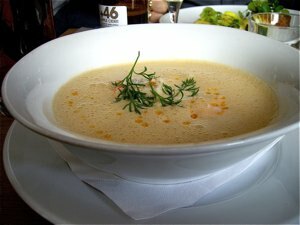 I ordered their fish soup with garlic bread, priced at SEK 119,- (12 EUR). What a treat - what a soup!!!! I often find, when ordering this treat, that fish soups are too salt, or lacking overall taste. At Sjöbaren they serve the best fish soup that I have tasted in years. A generous portion prepared in a traditional Scandinavian manner served in a deep, white soup plate, with small ruby red drops of fat glistening on the surface. Wonderful texture - a smooth velvet consistency, topped with delicate froth. All senses enjoyed a very rich seafood taste, accompanied by sweet, salt and sour aromas in perfect harmony. The garlic bread was rich with garlic butter in abundance and it matched the soup perfectly. There are two beverages to choose when having a good seafood meal, either a dry white wine or a dripping cold pint of lager. I preferred the latter in the form of a local amber coloured brew , and it was refreshing and matched the aromas of the soup perfectly. A perfect place for lunch or dinner. The rooms are very small and be prepared to share the limited space with many guests, as Sjöbaren seemed to be an extremely popular place. Witty, slightly rude (but within any decency), but extremely charming and efficient staff made the visit a pleasure. 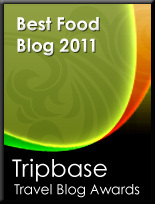 Based on my dish, I do not hesitate to recommend Sjöbaren to fish lovers and meat eaters alike.